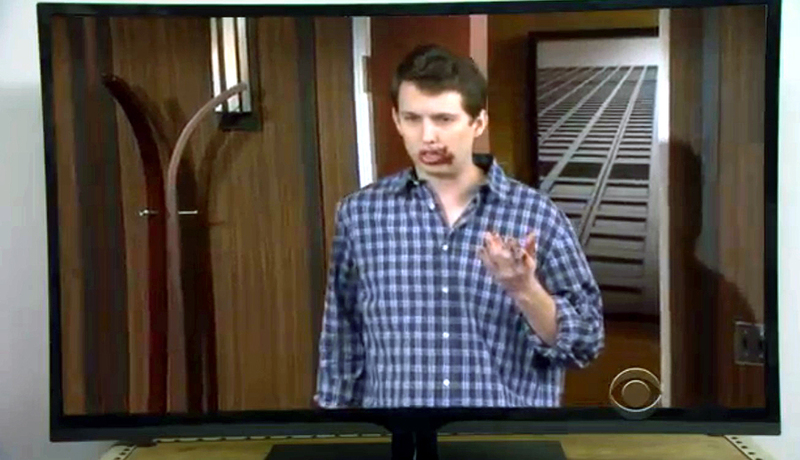 Did How I Met Your Mother Work Jason Segel's Insult of the Show Into an Episode? Being a regular on a popular television series is often an interesting double-edged sword for actors. On the one hand, it tends to be extremely lucrative in a profession where being unemployed is much more common that actually having a regular gig. On the other hand, actors sometimes feel as though they are "trapped" working on a regular series, whether because they are not fans of the material or because they feel that their role has changed from when they were originally cast or perhaps just because they prefer the freedom to do other work, like films (one of the most common reasons for actors leaving a popular television series is because they want to go make motion pictures instead). In past TV Legends Revealeds, I have featured the results of such conflicts for actors like Denise Crosby on Star Trek: The Next Generation and Robert Downey Jr. on Ally McBeal. 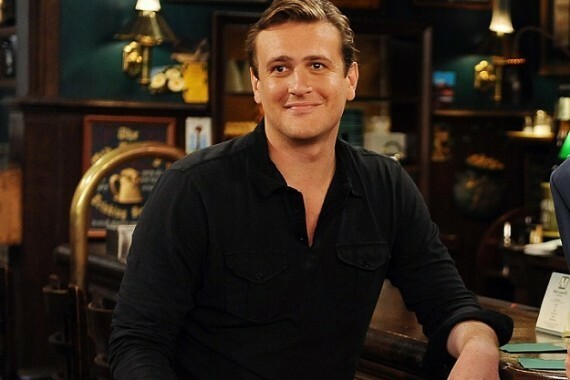 Today we look at the curious case of Jason Segel and How I Met Your Mother. Unlike the other actors, Segel never actually left the series, but his frustrations with the show eventually were worked into the show itself with hilarious effect. How I Met Your Mother ran for nine seasons on CBS from 2005-2014. Ostensibly the story of a man in the future telling his children the complicated story of how he met their mother, the show was really mostly about a group of five friends and their various life experiences throughout their late 20s and early 30s. While the show was eventually one of CBS' most popular sitcoms, it struggled in the ratings for the first three seasons (leading to "back-up" mothers if the show was canceled earlier than expected, as detailed in this earlier TV Legends Revealed). So the actors on the show certainly did not expect the show to last nine seasons. Nor did the producers, who found themselves increasingly straining how long a guy could tell the story of how he met his kids' mother. This time limitation was particularly evident in the final season of the show, which took place over just a single weekend. The series also found itself in an interesting position towards the end of its run. In the early days it was at the mercy of CBS, but in the late seasons it was CBS who wanted to keep the show going while the cast and crew were a bit unsure. The show's producers and the cast were locked in for eight seasons after getting a two-year renewal during Season 6. The renewal for the final season, though, went down to the wire and was announced towards the end of the eighth season (right before the creators would have had to commit to plotting a series finale if a deal had not been reached). The biggest holdout among the cast was Jason Segel, the second-youngest member of the main cast and the one with perhaps the most promising film career (The series' youngest actor, Colbie Smulders, is a featured cast member in Marvel's ultra-popular Avengers film franchise, but she was not really the star of any the films). During his run on the show he starred in a number of films, including two hit films he wrote himself, Forgetting Sarah Marshall and The Muppets (co-written with Nicholas Stoller). It's an amazing place to be. But when you become an actor, part of it, the secret part of it, is that you don't want to work a regular nine-to-five job. And the secret part of a TV show is that it's a nine-to-five job. And eight years is longer than any relationship I've ever been in, it's longer than any school I went to. I think after eight years, I'll feel like I honorably did my commitment. It's funny--it's the greatest problem in the world to have. Jeez--I'm the luckiest guy in the world. But when your idol is Peter Sellers, playing one character for eight years isn't what you're trying to do. I don't really feel like I have that much more to offer with this character. Maybe if we got divorced or something--but that's not gonna happen. It's gonna be some iteration of, like, my TV wife opens the fridge, and she's like, "What happened to the birthday cake?" And I walk in with a little frosting here [points to corner of mouth] like, "What birthday cake?" In the 2013 film This is the End, Segel appears as himself (like all the other cast members in the film, which is about what would happen if the rapture took place in modern day Hollywood) and once again makes fun of How I Met Your Mother using the exact same joke from the earlier GQ interview, serving both to tease the show but also to tease the "controversy" (quotes because there really wasn't much of a backlash) Segel caused when he mocked his own show back in 2010. Well, in one of the very last episodes of How I Met Your Mother, "Vesuvius" (Episode 19 of Season 9), a bunch of the characters are gathered around watching the film Wedding Bride Too. In the How I Met Your Mother universe, Wedding Bride was a popular film written by the husband of a woman Ted Mosby almost married earlier in the series. It tells the story of Ted's relationship with the woman, only with Ted as the stereotypical romantic comedy villain (with the writer of the film being the hero, as he gets back together with his ex-wife just when she is about to marry Ted). At one point in the film's sequel, "Ned Moseley" notices that someone ate the chocolate cake that he had put aside in the refrigerator. His friend "Narshall" then walks in with chocolate frosting around his mouth. Segel's character, Marshall, is offended that they would depict him in such a manner and threatens to sue. His friends then remind him that that actually did happen and he sheepishly admits that they're right, but that Ted should have put a note on the cake if he didn't want it to be eaten. That's a pretty awesome in-joke by the show (Barbara Adler wrote the episode in question).